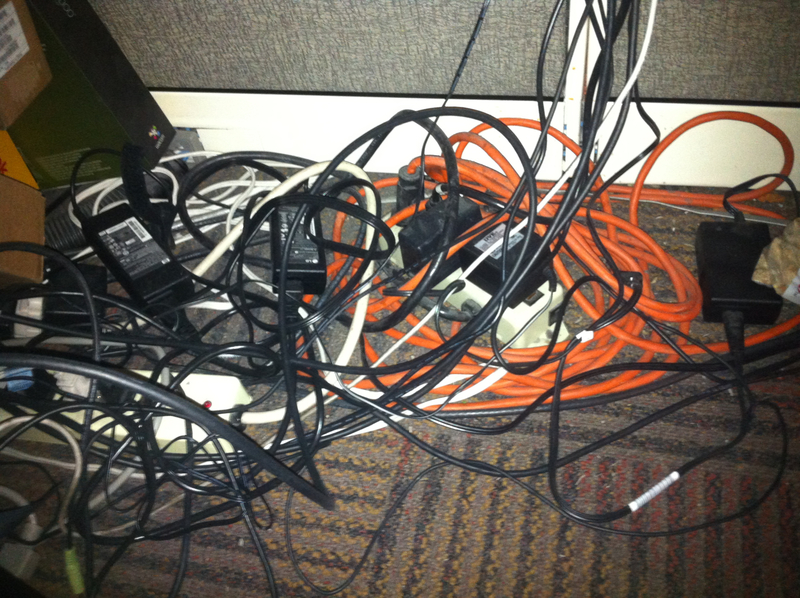 This is a picture of the cords under my desk where I work at the TV station. I confess, I care less about how it looks than if it were in my home. But seriously, folks…when something goes wrong, I’m on my knees in my suit, doing my best imitation of separating the spaghetti. Fess up, your Voice Over studio has a plethora of cords that are unlabeled, intertwined, dusted over, and some of them — quite frankly — are a mystery. Am I right? You can say all you want about the wireless generation, but from my perspective, cords are likely to be around as long as tires. So how to keep them untangled, or at least manageably hidden and unobtrusive? Believe it or not, there’s a science to it, and a recent study proves that the longer and more flexible a cord is, the more likely it will tangle. In other words, the longer you leave something unattended, the better the chance that it will get all messed up. This is true of Voice-Over studio cable tangle. Mic cables, USB cords, speaker wires, headphone coil-cords, and any number of patch cables that you installed months ago are now mixed into the scrum of a rat’s nest of cables. When you finally have a client who wants to do that phone patch, and it requires….uh….THAT cable…or is it that cable?… are you gonna be able to find it? I’m not saying anyone has a fool-proof solution, but there are some resources that may help. From a purely aesthetic point of view, this may be a solution for you. I found it online for a respectable price. Maybe most helpful is a site that offers: 5 INEXPENSIVE WAYS TO UNTANGLE CORDS AND CABLES. 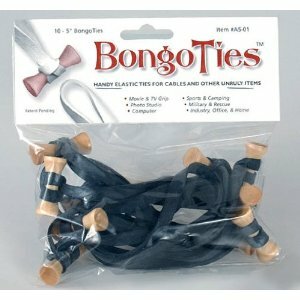 Among my favorites: Velcro One-Wraps, and Bongo Ties…both incredibly inexpensive. 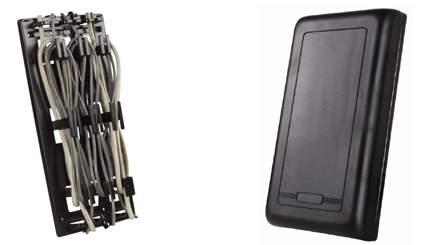 Here’s one more site: HOW TO HIDE THOSE MESSY WIRES. What about labeling? Luckily, there’s a gajillion places that sell cable labels ranging from NASA industrial-strength costing thousands of dollars to more safe ‘n’ sane solutions costing only a little. Last resort: duct tape and a Sharpie. This is great stuff! Thanks for collecting all these resources. Who among us doesn’t deal with cords? I hate the mess. Now I have some ideas. Thank you!! 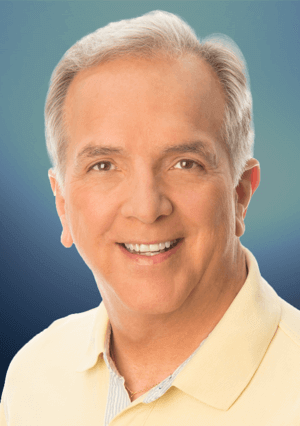 Thanks for the comment, Dustin…kind of an off-beat topic, but one that has so far had legs!